Turner Farms - New carpet, new paint, 4 Car garage, cov'd front porch, deck, wood floors in foyer, halls, dining, kitchen & breakfast areas, granite counter tops, tile back splash, built-in desk, 42" cabinets, whirlpool tub in master bath, double vanities, walk-in tile shower, granite counter tops in 2 baths, tile floors in all bathrooms, cathedral bead board ceiling in family room, fireplace, fenced yard, crown molding, chair rail, cathedral ceiling in living room, recessed lights, tray ceiling in Master Bedroom, Bose sound. MLS#2249063. 1246. 100% USDA financing avail. Come see and believe! MLS#2249313. 476. 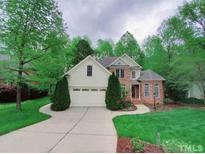 Autumn Oaks - Near shopping&great coffee!Less then 10 min to downtown Raleigh! MLS#2248966. 5026. Forest Landing - HVAC new in 2016, water heater new in 2015, windows new in 2007, 2 storage sheds, one shed has power & new HVAC, fenced yard and home is wired for a generator. MLS#2248942. 1130. All secondary bedrooms upstairs have large walk-in closets & tons of storage! Our most desired floorplan! MLS#2248787. 5023. All secondary bedrooms upstairs have large walk-in closets & tons of storage! Our most desired floorplan! MLS#2248779. 5023. You will love our newest plan! MLS#2248794. 5023. You will love our newest plan! MLS#2248800. 5023. This home sits on 2.10 acres and has 2 large gardens, a storage shed and a wired produce stand to sell your veggies. MLS#2248747. 988. Steven Oaks - I-540 project coming soon. Check NCDOT for details! MLS#2248763. 4025. Espresso Cabinets, Granite,Stainless Steel Appliances,including the Refrigerator,Pantry,All Hardwood frs on the main,Mud Room/w Cubbies & Hooks,oversized screened Porch,Ceiling fans,Large Master Suite with Tray Ceiling,Large Walk in Closet,Dual Vanities with cultured Marble Countertops in both full baths.Large secondary bedrooms.Very convenient to I40&42. MLS#2248562. 4742. 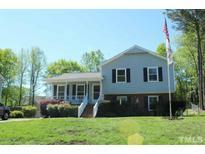 Lees Plantation - MOTIVATED seller, bring all offers, close in time to get pool ready for summer! MLS#2248094. 2905. Home is the perfect distance from the new 540 expansion providing ease of travel to all areas of the county! MLS#2248143. 4993. Sutton Springs - Screen porch and deck area. Refrigerator, washer & dryer convey. MLS#2248133. 986. Coffered Dining Room ceiling, kids drop zone, hardwood stair treads and so much more details! Your selections make it home! MLS#2248453. 5023. Lots of detail to mention and extensive Included Features! MLS#2248452. 5023. 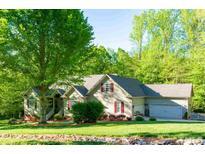 Beautiful cul-de-sac lot & a screened porch your family will enjoy. Home awaits your selections! MLS#2248450. 5023. Spacious secondary bedrooms all w/ walk-in closets upstairs plus an oversized Recreation room your family will enjoy! Extensive Included Features! MLS#2248454. 5023. Our Included Features are other's upgrades! MLS#2248451. 5023. Creekside Place - Close to I40/42. Don't miss! MLS#2245111. 4561. Cleveland Springs - Don't miss the opportunity to see this house today. New Stainless Steel Whirlpool Appliances! MLS#2248396. 4025. South Hills - It Will Not Stay On The Market Long! MLS#2248352. 3298. Lancaster Downs - Minutes from 40/42, this quiet reserve is unlike anything in this price point! MLS#2245471. 2784. Large storage shed included. Sold as is. MLS#2248382. 372. Less than 5 mins to schools, grocery, coffee shops, etc. 10 mins to downtown Raleigh! MLS#2248045. 4852.